Ritual Brows is about enhancing & creating a natural look that is unique to each person. Microblading is the main focus, but we do offer other select services. Ritual Brows uses vegan & cruelty free products. Depending on individual healing, results may require additional appointments that are not included in initial pricing. Please read the FAQ and Policies for more information. 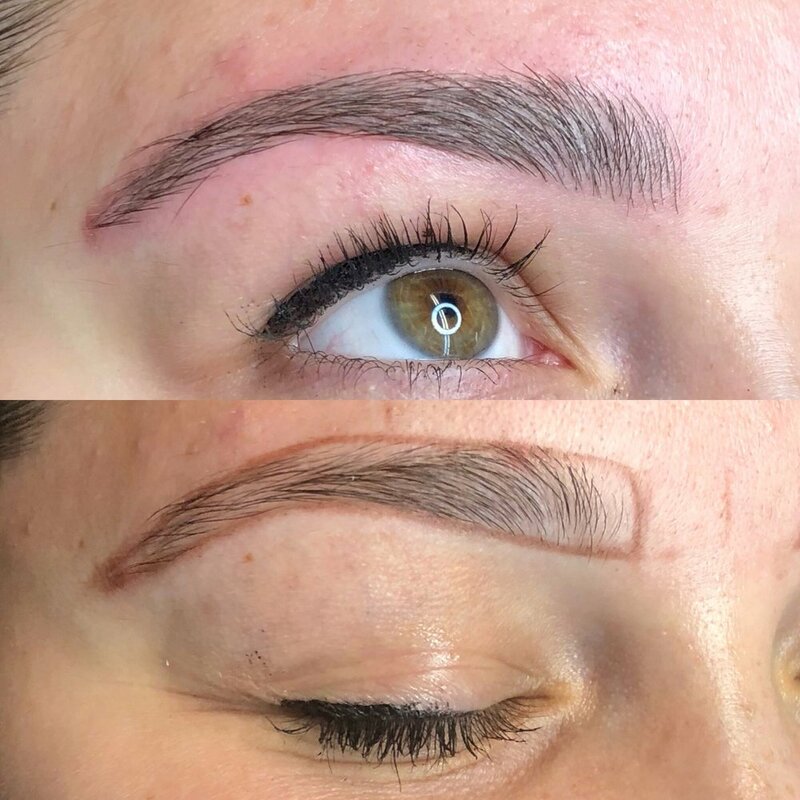 Microblading is a cosmetic tattooing technique to superficially apply hair-like strokes to the eyebrows using a grouping of needles. It is a semi-permanent procedure and is not as invasive as a regular tattoo. 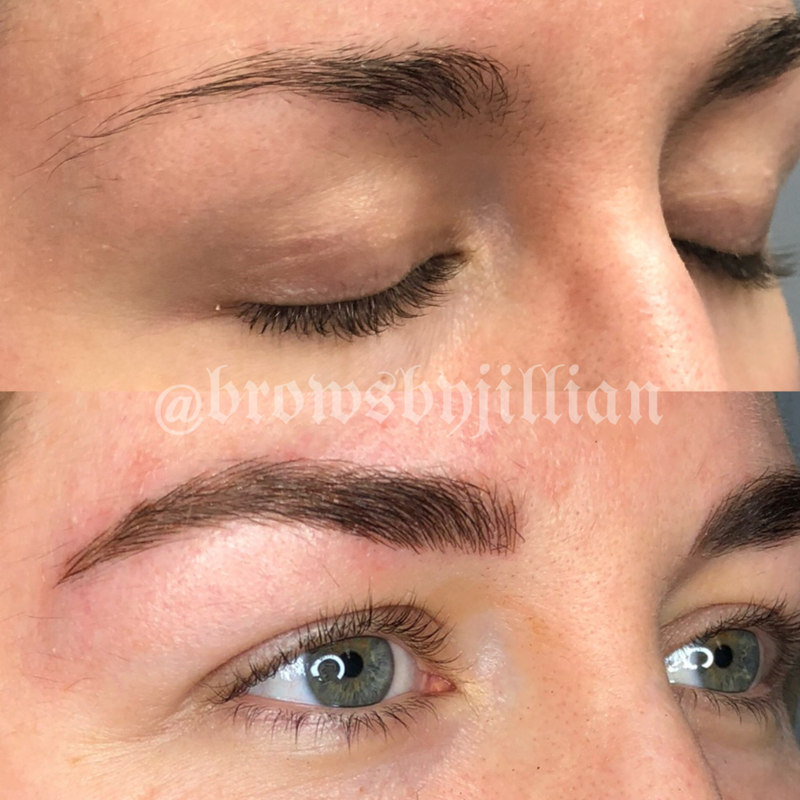 Microblading allows you to achieve brows with more structure and can add depth while reducing the time spent filling them in with make-up daily. With the small exception, almost anyone is a good candidate for microblading (above the age of 18). It is not recommended for anyone who is sick, pregnant, breastfeeding, immunocompromised, taking prescription blood thinners, taking medication for acne (Accutane), those who keloid, diabetics, or have recently had any facial treatments (within 72 hours). If you have concerns whether or not microblading is right for you contact me for a free consultation. The entire appointment will take around 2-2.5 hours. This includes the time to register, map the brow design, apply numbing solution, and the procedure itself. Touch-up appointments are usually quicker since the brow mapping has already been done. These are just estimates and it can vary from client to client. Cosmetic tattooing is not meant to be permanent. The pigment used is designed to fade over time and will need to be touched up if you desire to maintain the look of your new brows. Microblading can last up to 2 years depending on various factors. Some people will need to have touch-ups at 1 year while others may not see the need. It really depends on the person. There are steps you can take to ensure that your brows do not fade quickly. Sun exposure, tanning, and exfoliating facial treatments can accelerate the fading process and avoiding these will help you to prevent fading prematurely. DO I NEED A TOUCH UP SESSION? 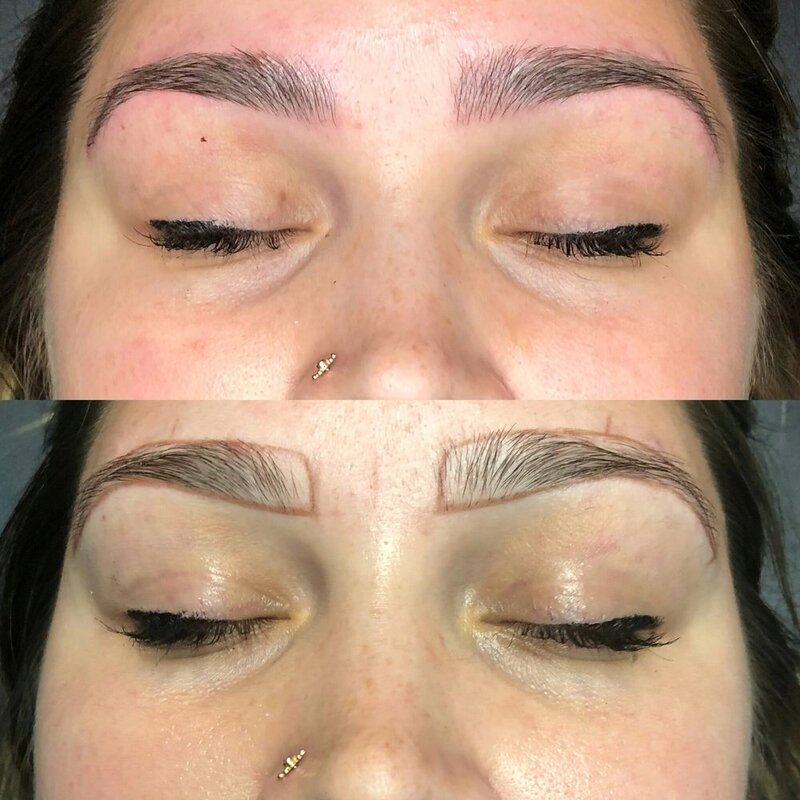 Microblading is a two step process and it is recommended to have at least one touch up 6-12 weeks following your initial session. This is necessary to build up the brows and correct for an loss of pigment retention. HOW DO I TAKE CARE OF MY BROWS AFTERWARDS? After your procedure I will explain everything you need to know on how to care for your new brows and also send you home with the information and supplies needed. It is important that you follow the aftercare instructions so that you heal properly for best results. Failure to follow aftercare steps can lead to less desirable results and require another procedure that is not included in the original price. DO YOU FIX OR DO CORRECTIVE WORK? 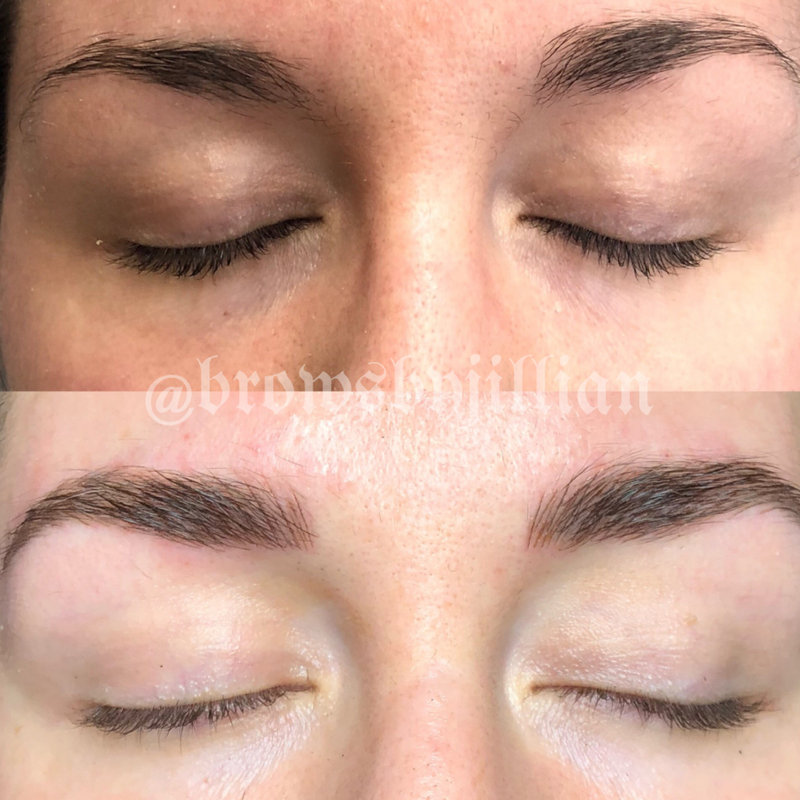 I currently DO NOT do corrective work on clients with previously microbladed or cosmetically tattooed brows. 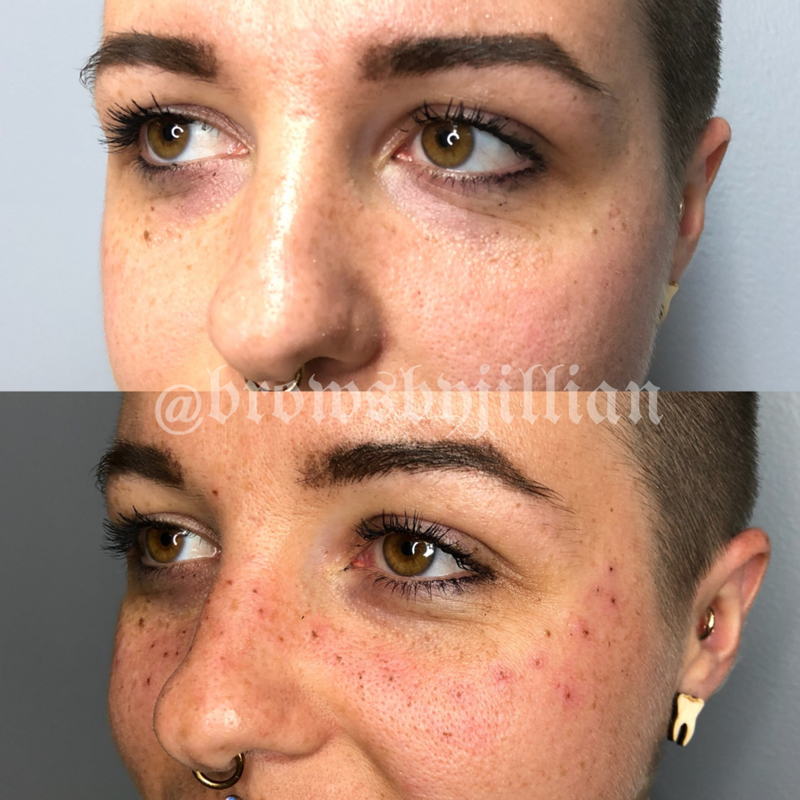 If you have previously had microblading or cosmetic tattooing please contact me to set up a consultation if you feel that it is faded enough. This is to make sure that we can achieve the best results and manage expectations. A numbing solution is used throughout the process to provide the client with the most amount of comfort possible. There is a minimal amount of discomfort during the procedure. Everyone heals differently! There are many factors that can effect how the healing process goes. I do my best to inform clients on the proper aftercare to ensure the best possible healed results. Nothing can be guaranteed and some clients may require additional sessions outside of the initial touch-up due to their desired results. Before your appointment it is important that you follow these guidelines to ensure the best results. It is up to you to make sure that you follow the aftercare instructions carefully to ensure the best results. A deposit is required for all appointments and is non-refundable. The deposit is included in the total price and is used to hold your appointment time. If you are late, cancel, or do not show up to your scheduled appointment time you forfeit your deposit. If you need to cancel your appointment and do not wish to reschedule you may do so, but you will be charged the deposit fee. You may change the day/time of your appointment. At least 48 hours is required to do so. If it is past the allowed 48 hours a new deposit is required. You may make changes to your appointment one time only if you wish to make further changes you will be required to leave a new deposit. There is a 15 minute grace period for those who arrive late. If you are more than 15 minutes late to your appointment you will be rescheduled and you will lose your deposit and be required to leave a new one. It is recommended to receive one initial touch up procedure no sooner than 6 weeks after the initial appointment and no later than 12 weeks. If the touch-up appointment is made 12 weeks after the initial session then the yearly revisit fee will apply. 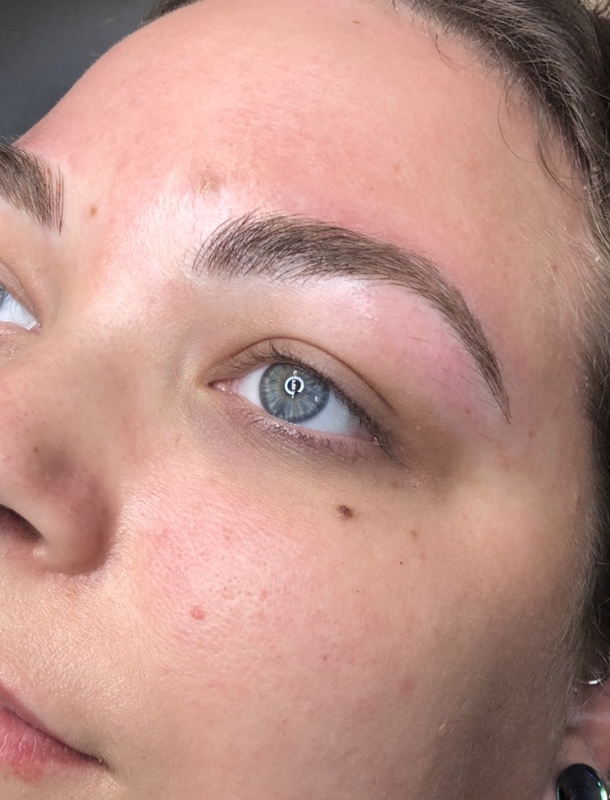 If it is your first session of microblading you can either book for an initial session or you can save and book the bundle which includes your initial touch up. A non-refundable deposit is required when booking. You can pay in full when you book or pay the balance at the time of your appointment. If you have had previous cosmetic tattoo work then you MUST contact me for a consultation before making an appointment. If you book an appointment and show up without a consultation then you will be rescheduled and be required to leave a new deposit.